Gayle Asher received his art training at the National Academy of Design in New York and the Ringling School of Art in Sarasota, Florida. He was a Graphics Designer and Art Director in New York for many years. Since his retirement, he has devoted his primary energies to fine art. Prior to moving to the Shoreline, he was a watercolor instructor at the Darien Arts Center, the Rowayton Arts Center, Waveny in New Canaan, the Rye (NY)Arts Center, the Greenwich Arts Center as well as giving watercolor demonstrations throughout Fairfield County. 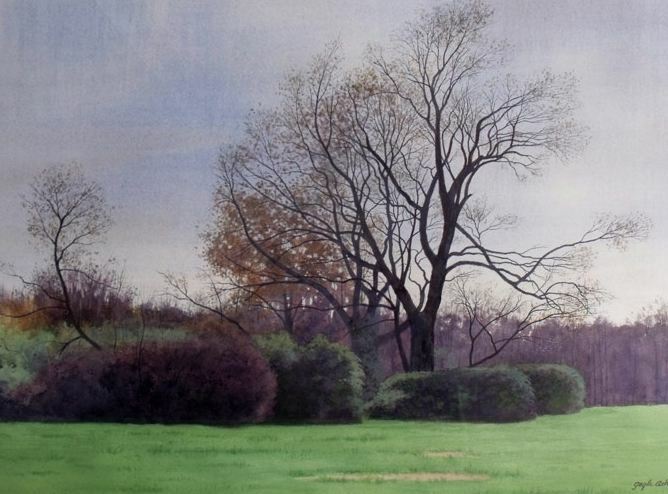 He also exhibits regularly in juried art shows in Connecticut and at the Connecticut Watercolor Society where he has won numerous awards. He was for many years an active member of the Fairfield Watercolor Group. Since moving to the Shoreline, he exhibits his paintings at the Greene Art Gallery in Guilford, the Old Lyme Art Association in Old Lyme and the Salmagundi Club in New York. He also shows his work at the Madison Arts Society, the Guilford Art League and the Connecticut Watercolor Society shows in New Haven. His paintings are in a number of corporate as well as private collections including Pepsico, GTE, Kidder Peabody, Bell South, CBT, the Roton Point Club in Rowayton, The Darien Library, The Smilow Cancer Center at Yale New Haven Hospital and Miller-Wright Architects in Manhattan.